In Margate, a town located in Kent, England, investigators reported that a passerby found a dog left to die amongst a heap of rubbish. The dog was identified to be a Chihuahua-cross pup named Chunky, who was stolen a few days prior. 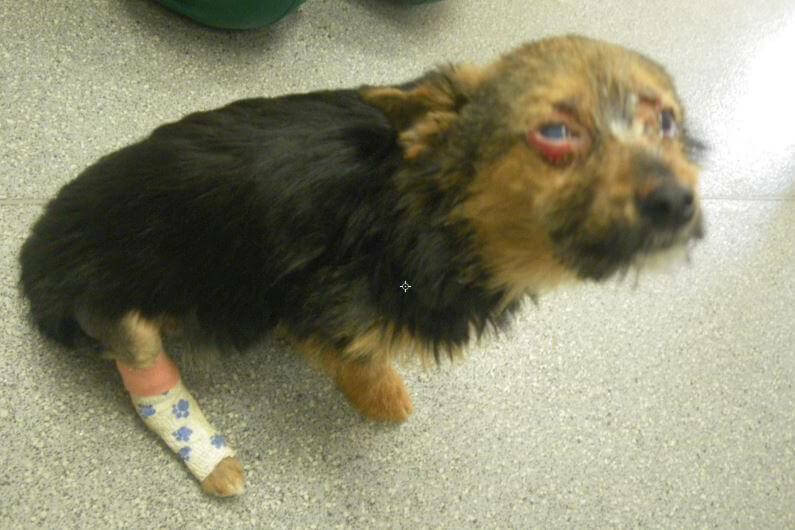 Chunky was found badly burnt and showed aftermaths of torture that could have gone on for several hours. His face and eyes were burnt with a deodorant aerosol can, then punched and kicked till his legs and neck were broken. The dog was also fed several unidentified types of drugs used by the accused. Four youths aged 15 to 16 pleaded guilty to Chunky’s animal abuse case in October, and were charged with a 1 year referral order, a fine of 500 to 1000 pounds and a 5 year animal ownership ban. Chunky suffered for a least a week in critical condition, and has been emotionally scarred by this incident. 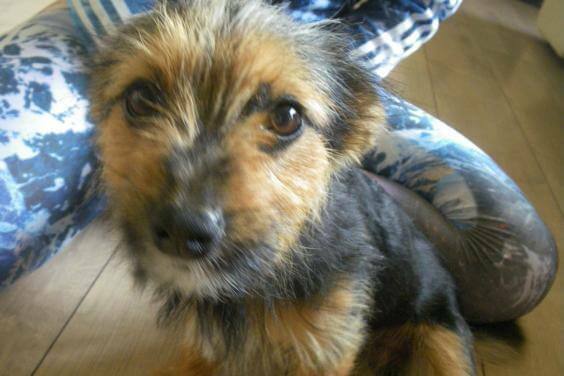 Thankfully, Chunky has now reunited with his owners with his health fully restored. Investigators stated that it was a “miracle” that he survived this ordeal. Share this pup’s story on Facebook now!